Looking for a quality place to stay on the Eastern Shore of Virginia or Maryland? Here's our list of favorites. Some are fancy and expensive; others are simple and moderately priced. You should be able to easily tell the difference from the description and photo. Happily, the choices for good Eastern Shore lodging are growing all the time. Maryland's Eastern Shore includes a large area with some pretty good-sized towns and cities (including the Ocean City resort area). We've included a selection here of favorite hotels that are popular with travelers. There are more to choose from, particularly in the Kent Island, Salisbury, and Ocean City areas. Kent Island Area, MD. Located at Kent Narrows, just east of the Chesapeake Bay Bridge, every room has a private balcony with a water view. There's a marina if you want to come by boat. Good restaurants are within walking distance. The Kent Island location is convenient to Annapolis, Cambridge, Easton, and St. Michaels. St Michaels, MD. A historic 19th century mansion resort and spa overlooking the Chesapeake Bay (pictured above.) Fine dining, bar, lounge. 78 luxurious guestrooms and suites decorated with antiques, many with fireplaces. Swimming pool and docking facilities. St Michaels, MD. Located on the harbor in St. Michaels. Arrive by boat and dock at the 52 slip transient marina. Rooms have waterfront views, there's a waterfront pool and an on-site spa. Cambridge, MD. A modern and comfortable hotel located in Cambridge on Route 50. Complimentary buffet breakfast, free morning newspaper, free high speed internet, indoor swimming pool. Cambridge, MD. A resort on the Choptank River. 340 acres. Championship golf course, marina, 4 lighted tennis courts, and a full-service spa. Indoor and outdoor swimming pools. All rooms have balconies or patios with water or resort views. Choice of restaurants in the hotel. Easton, MD. Located in the heart of downtown Easton, Maryland. A great location for visiting downtown shops or attending a show at the Avalon Theatre. A luxury hotel with traditional decor and furnishings. Outdoor pool and valet parking. Conference facilities. Their Hunters' Tavern is a popular restaurant. Easton, MD. One of the newer hotels on Maryland's Eastern Shore, the Holiday Inn Express offers all the conveniences you've come to expect from this chain including a complementary breakfast. Rooms are modern and comfortable and the Route 50 highway location is convenient for visiting Easton, St. Michaels and Oxford, or as a stopping point when traveling to points further on. Chestertown, MD. The Comfort Suites in Chestertown are a favorite with local travelers. The hotel is modern, convenient, and comfortable, with helpful and pleasant staff. Convenient to Washington College and downtown Chestertown, and close enough to Dover to attract lots of NASCAR fans for race weekends. Salisbury, MD. Located near where the Route 13 bypass crosses Route 50. Close the Perdue Stadium (Shorebirds Baseball). Ocean City, MD. Stay right at the oceanfront at. Suites with full-size kitchens are great for family stays. Balconies overlook the ocean. Virginia's Eastern Shore is a relatively narrow peninsula of land. Route 13 runs right down the middle of the Shore and that's where you'll find most of the hotels. Towns off the highway that have hotels are Chicoteague, Onancock, and Cape Charles. The hotel options in Onancock and Cape Charles are small boutique hotels - a nice departure from the chain hotel experience and a good way to enjoy small-town atmosphere. Exmore, VA. On Route 13 in the center of the Eastern Shore of Virginia. Heated indoor pool. Free buffet breakfast. Exmore, VA. On Route 13 in the center of the Eastern Shore of Virginia. Free high-speed Internet. Free hot breakfast. Free USA Today newspaper. The Exmore hotels aren't far from Riverside Shore Memorial Hospital in Nassawadox. Onancock, VA. A luxury boutique hotel located in historic downtown Onancock, just two blocks from the harbor. The hotel features a highly-rated restaurant in addition to eight well-appointed guest rooms. Within a one-block stroll are more restaurants, an Irish pub, a gourmet market, art galleries, a vintage movie theater, a playhouse, and other shops. Chincoteague, VA. Waterfront hotel on Main Street, on the back side of the island, overlooking Chincoteague Bay. Rooms have balconies with waterfront view, free internet, 37" HDTV, microwave, coffee maker, and mini fridge. Free hot breakfast served daily. In addition to the many hotels listed above, there are lots of great bed & breakfasts in the Eastern Shore area. These allow you to stay right in the heart of some of the Shore's most interesting towns. 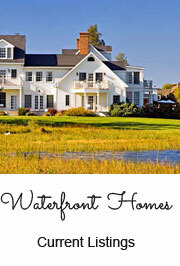 There are many vacation rentals available on the Eastern Shore. There are hundreds in Ocean City, plus many on Chicoteague, plus quite a few located in and around towns such as Cape Charles, St. Michaels, and Cambridge. We've listed a few below to get you started. Cape Charles Downtown Beach House - Located on Randolph Avenue in downtown Cape Charles, just three blocks from the beach. Chincoteague Island Waterfront Condo - This one bedroom condo has great views of Assateague Channel and comes with a private boat slip!